Every year in October, fresh cookies are served at all four Harker campuses to celebrate and preserve the legacy of longtime Harker president Howard Nichols. Cookie Day, which occurs on or near Nichols’ birthday, is a nod to his practice of keeping a jar of cookies in his office, signaling to all who passed by that his door was open to anyone who felt like dropping in for a chat. Nichols, who became head of school in 1973, served the Harker community with his wife, Diana (who now chairs Harker’s Board of Trustees) for more than 30 years. As president, Nichols helped shape Harker into a school that prized character as much as academics. His vision for the school lives on in many key areas, including the Honor Code, the expansive performing arts department and the broad array of programs. In 1992, when Harker Academy was renamed The Harker School, Howard Nichols was named president while Diana Nichols assumed duties as head of school. Together, they spearheaded the addition of an upper school, which opened in 1998. Howard and Diana Nichols retired in 2005, and just three short years later, Howard passed away from cancer. 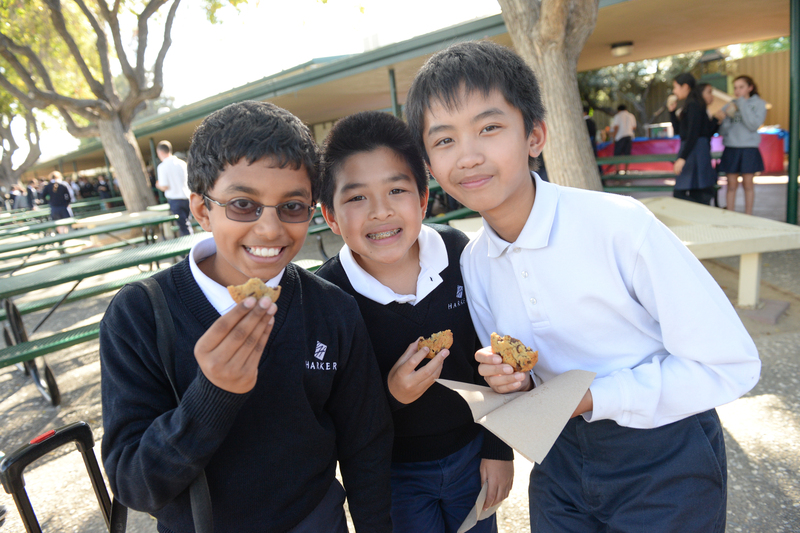 Harker is proud to keep the tradition of Cookie Day to teach students about their beloved onetime leader.